"Celestion's Blue and Gold are most players' benchmarks when it comes to alnico speaker tone, and in a direct comparison test, with all the drivers involved having been nicely broken in, the Ascension N30 fares very well" — Chris Vinnicombe, Guitar & Bass 2016. 9/10 Choice Award. Best suited for use in 1 x 12" and 2 x 12" low- to mid-powered combo amps, the Ascension N30 is an optimal combination of great sound and light weight portability. Perfect for guitar players who want a 'big amp' sound from their combos for small gig situations and also ideal for those bedroom/domestic musicians who want great tone at lower volume levels. Displaying crystal clear, clean tones and a fantastic tight crunch when played through distortion. The tight low-end punch, dynamic vocal midrange and detailed top-end of the Ascension N30 provides players with a well balanced, three-dimensional and dynamic tone that will enhance any high-end combo valve amp, bringing out all the amplifiers intended tonal nuances. 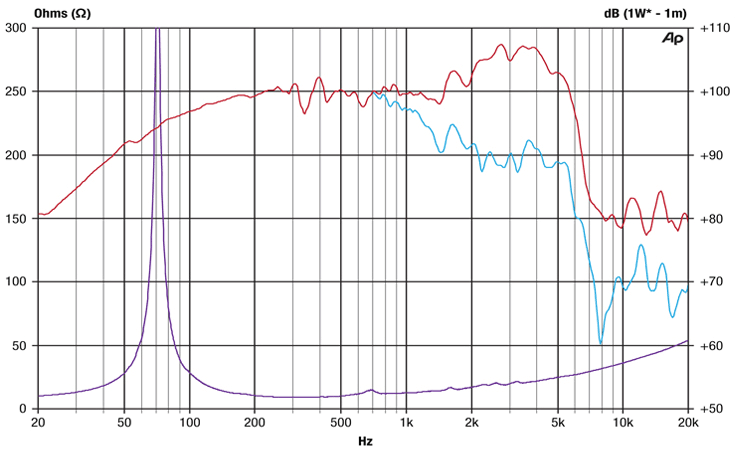 A lightweight paper cone gives the N30 a fast response time and a wide band of harmonic dynamics. Available in 8 or 16 ohms the speaker delivers an output sensitivity (SPL) of 99dB, you'll soon discover that a light weight speaker can still sound heavy. Whether you are looking to add a new sound to your arsenal, enhance the performance of an existing cab or just lighten the load of your favourite combo amp, you'll find the Ascension N30 more than fits the bill. Tone clips for the Ascension N30 have been recorded using a Thornton Dexter Combo with a Beyer Dynamic M88 microphone. Sorry, your browser does not support HTML5 audio. Please right click the Clip to download the sound file.